It’s strawberry season here in SoCal and there are plenty of places to go strawberry picking. 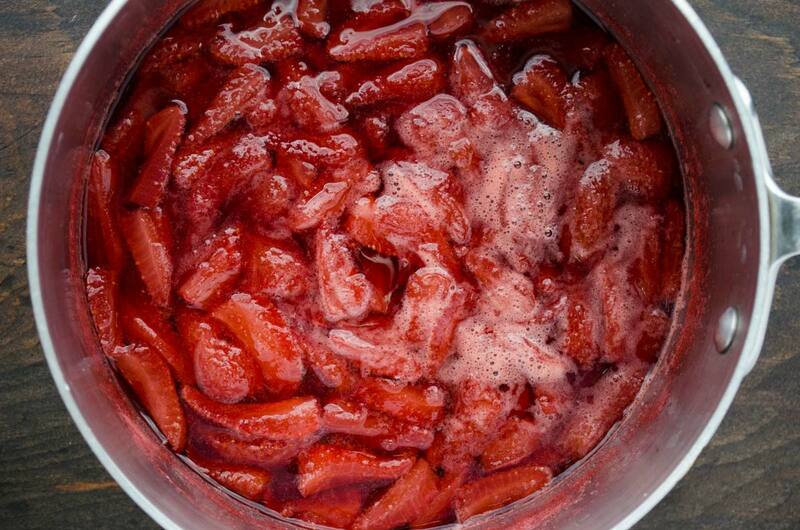 Every year we make a huge batch of strawberry preserves and popsicles or paletas. (To this day I sometimes call lollipops popsicles, because in Mexico paleta can mean both popsicle and lollipop.) The kids love them and so do we. 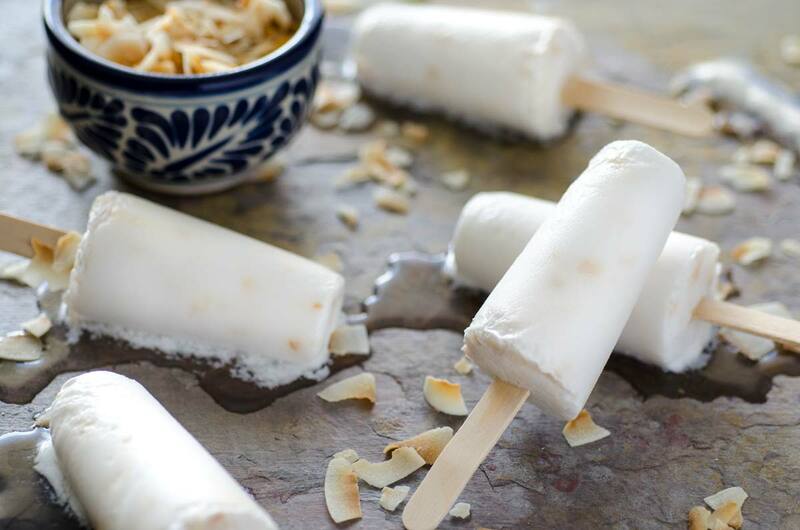 Is there really a difference between a Mexican paleta and a popsicle? YES! 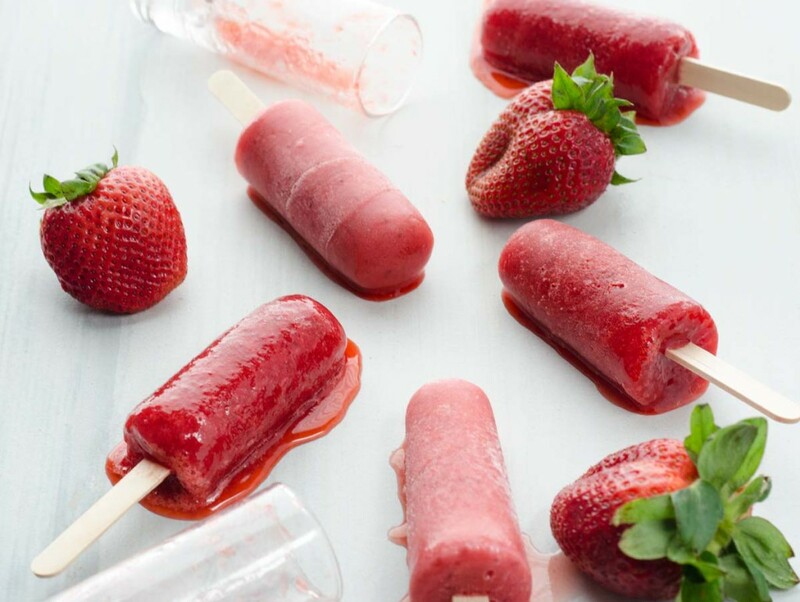 A popsicle can be made with fruit juice, fruit concentrate, and depending on the brand you buy it can also have glycerine, maltodextrin, guar gum, food coloring, and natural and artificial flavors. A Mexican paleta is usually made with fresh fruit, sugar, and water or milk. They are made locally and sold in paleterias (popsicle shops) and popsicle carts. 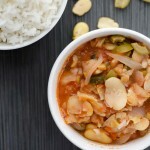 The flavors vary from region to region according to what is available and in season at each location. 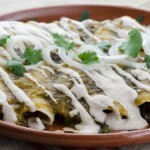 Some of the flavors are a little crazy or unusual like sweet corn, avocado, rice pudding, and cucumber and chile. They are well know for being very generously filled with cut fresh fruit. Believe it or not, there are some paleterias in the Orange County/LA area where you can go experience first hand what a paleta really is. In the following months I will be posting many paleta recipes so you can make them at home yourself. My grandparents owned a paleteria more than 30 years ago in my hometown and I’m trying to track down pictures and recipes of that time for you. In the mean time there is one amazing book by a Mexican chef, Fany Gerson, that should be a part of your cookbook collection. The book is called Paletas. No surprise there! 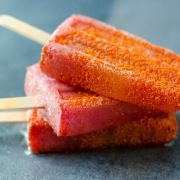 It has many classic Mexican flavors of paletas, as well as aguas frescas, and raspados. 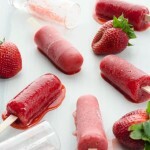 One of the best ones are precisely these strawberry paletas which I have adapted for you. Fany Gerson suggests that if you don’t have special popsicle molds you can use shot glasses, and that is precisely what I did. 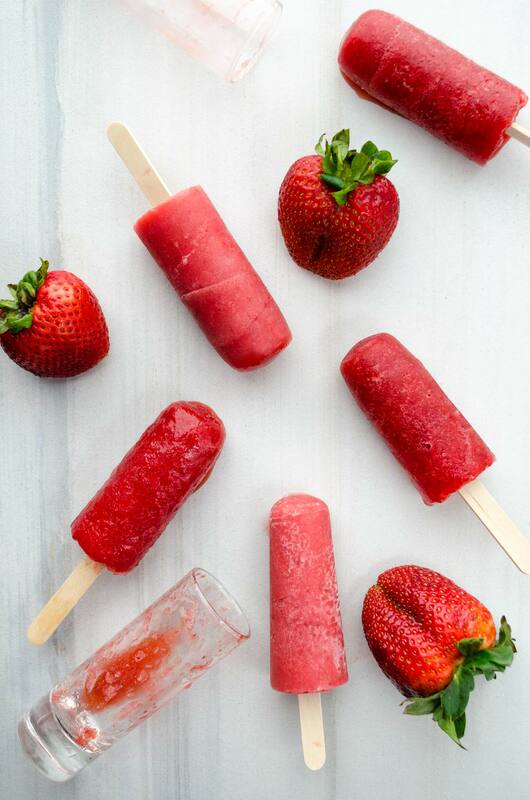 Keep your freezer stocked this summer with these beauties for a refreshing treat. Enjoy! 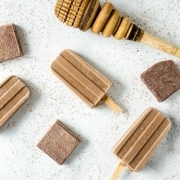 These paletas are 100% vegan and use only natural ingredients. I have made two versions, one with just strawberries and one with light coconut milk. 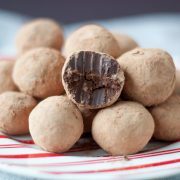 They are just the right amount of sweet and they are bursting with chunks of strawberries. 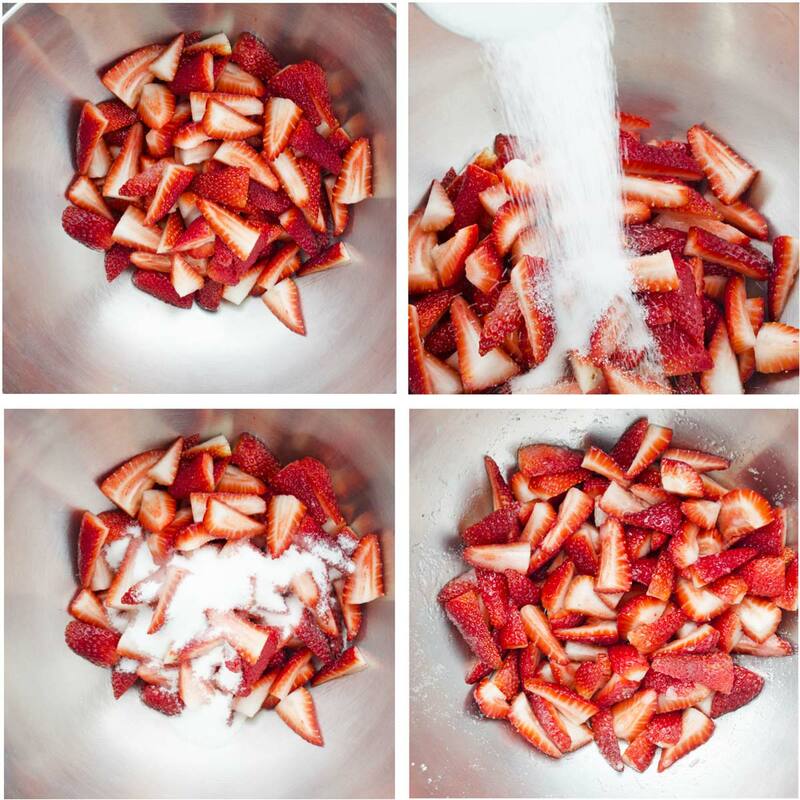 Place strawberries in a large bowl and sprinkle sugar over them. Mix well. Let sit for 20 minutes. 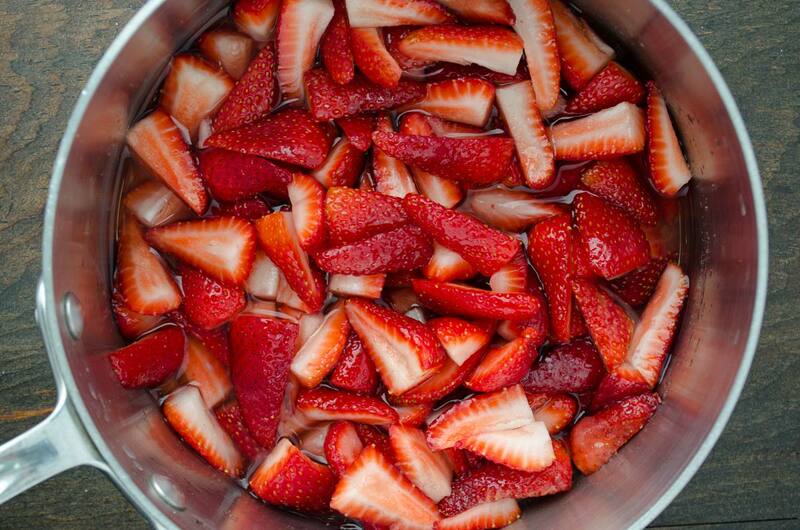 Place strawberries in a medium sauce pot and add 1/2 cup of water and place over medium eat. Simmer softly for 5 minutes. Let mixture cool to room temperature. Once the mixture is cool, place in a blender, add the lemon juice, and process to desired consistency. 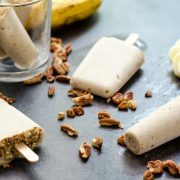 Your paletas can be chunky or smooth. Pour into your molds, snap on the lids, and freeze for at least 5 hours. If using shot glasses (like in the pictures) pour mixture into glasses and freeze for 1 - 2 hours. Insert popsicle sticks and freeze for 4 more hours. 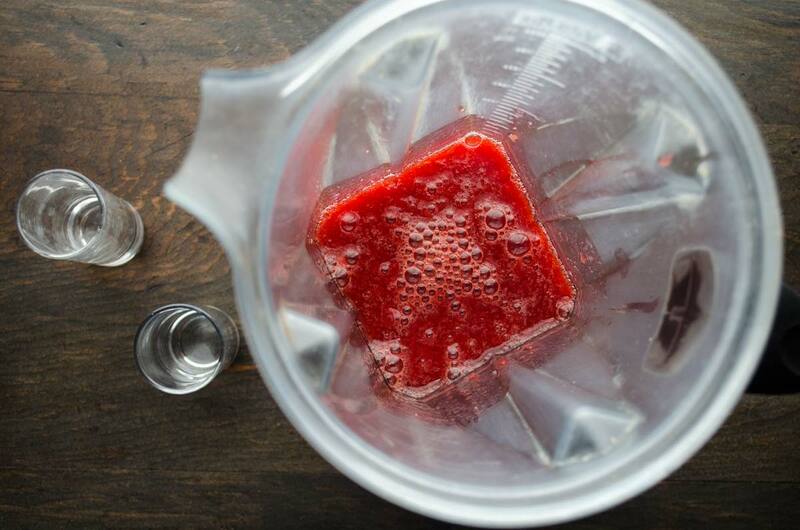 If your strawberries are not very sweet you can add 1/4 cup more of sugar. Recipe adapted from Fany Gerson’s book Paletas. 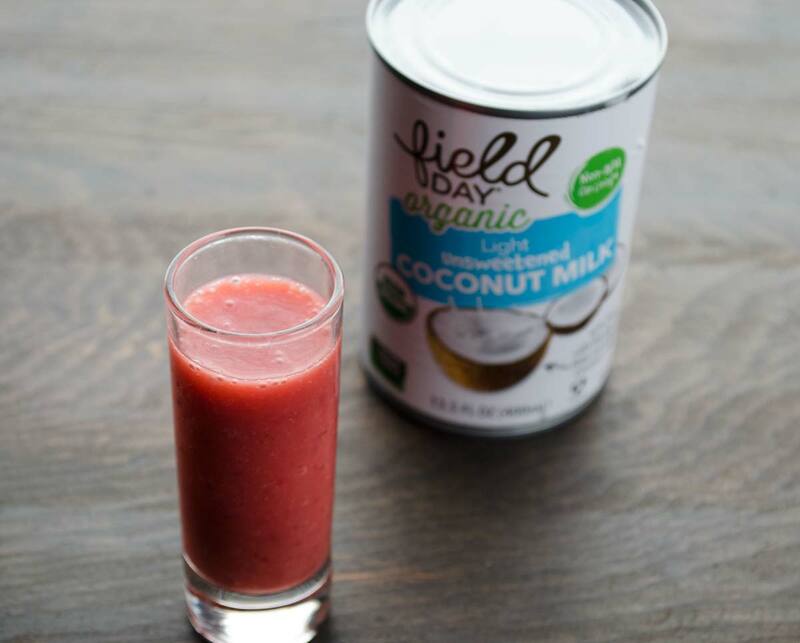 Once the mixture is cool, place in a blender, add lemon juice, coconut milk, and process to desired consistency. 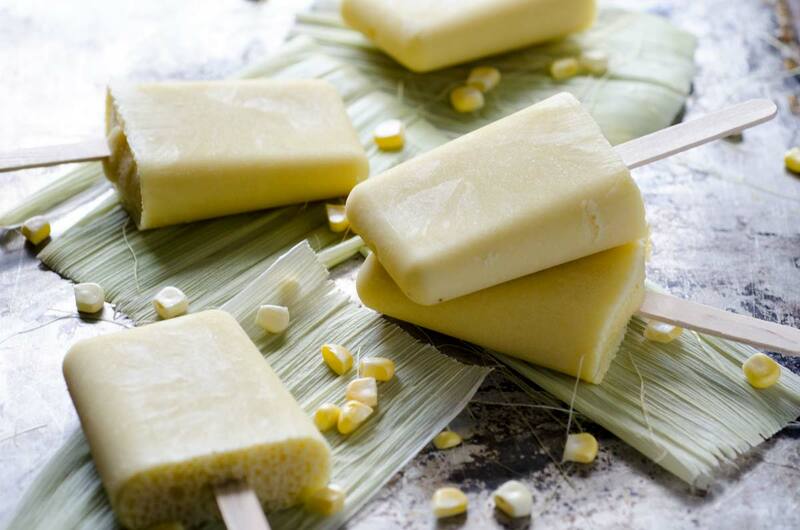 Your paletas can be chunky or smooth. 04/03/2016 /0 Comments/by Dora S.